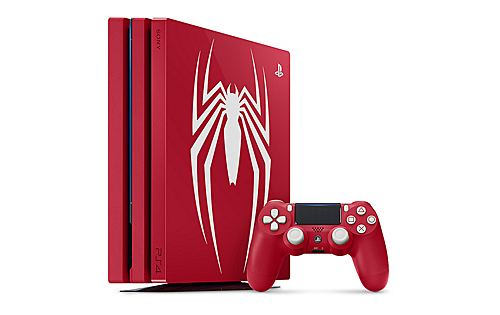 Sony’s obsession to bring the cinema experience home has been a defining pillar for the company’s entire suite of products from Sony’s Professional Solutions (broadcast and production-grade equipment), all the way down to Sony Electronics (TVs and other home electronics) and even Sony Interactive Entertainment to some extent (the division the brings Sony PlayStation and the numerous games to life). 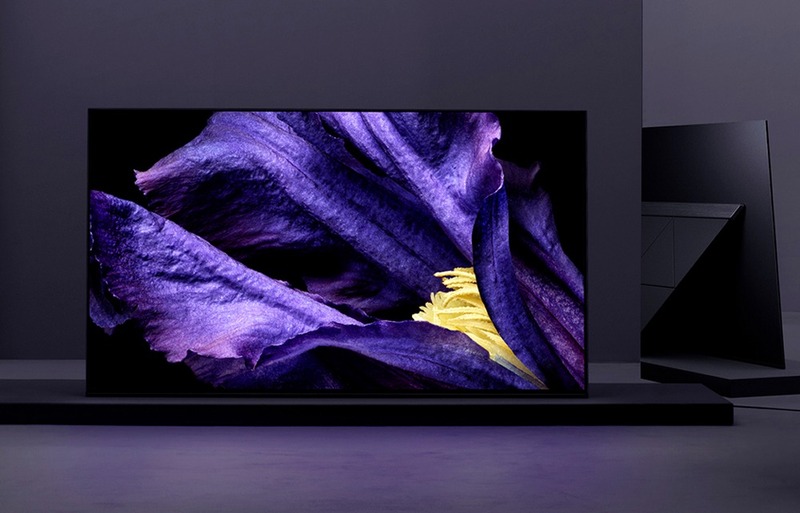 Now more than ever, Sony is emphasizing to preserve the director’s intent, in addition to its philosophy of managing and delivering solutions from the lens to the living room. 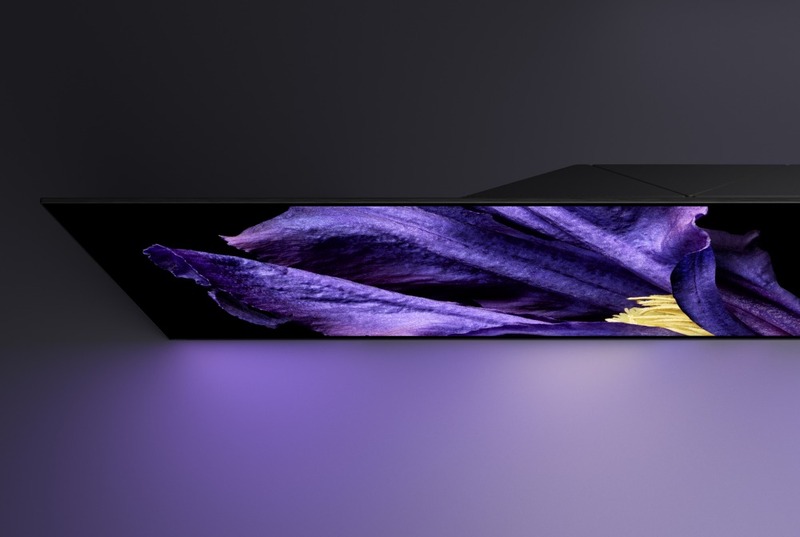 The company’s new Master Series of TVs, championed by the A9F (OLED) and the Z9F (LCD) models, are excellent products worthy of their prestigious titles and are what we would describe, close to reference and close to perfection for a home TV (at least on first impressions). Beyond imaging quality, preserving details and being able to closely match the reference monitor output, the Master Series A9F, in particular, has also made notable strides in audio delivery thanks to its new Acoustic Surface Audio+ system. Truth be told, Sony has been one of the few if not the only major TV vendor that has time and time again focussed on evolving their TV audio subsystem as much as their screen’s picture quality. As far back as 2012, the company has flaunted its massive 84-inch X9000 TV which was flanked by a 10-driver stereo speaker system, accompanied with four mini subwoofers for a strong soundstage. The following year, they advanced their TV sound system to use magnetic fluid speakers using ferrofluid material first developed by NASA. This allowed Sony to keep the speakers small and yet produce audio of good clarity and soundstage, thus being able to offer a good audio subsystem to many more TV models and sizes in their line-up. 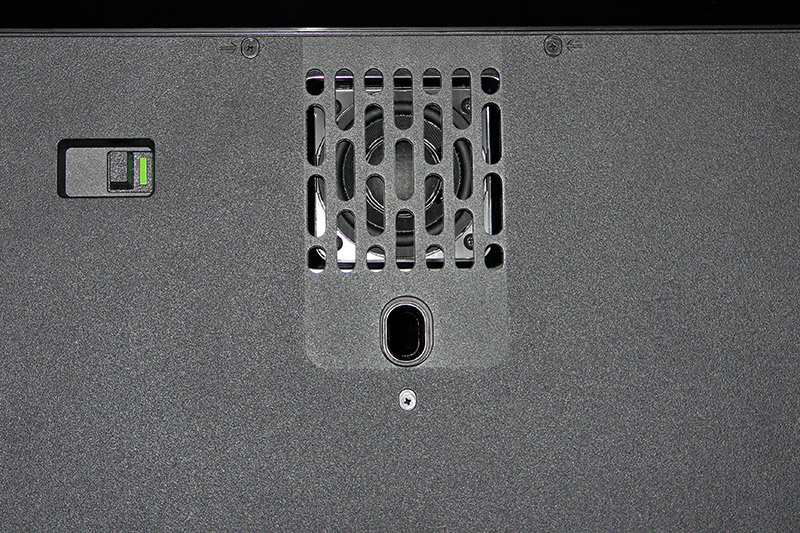 This is more visibly seen in our coverage of the X9400C launched in 2015. While some competitors like LG came close to impress with a built-in sound bar within their LA9700 4K TV, it didn’t quite deliver the audio punch expected. Fast forward to 2017, Sony debuted their next major leap with their Acoustic Surface sound technology first seen and debuted on the Sony A1. With this, the whole TV screen is now the speaker. This is achieved by incorporating actuators at the rear of the TV (a pair on each side), which vibrate to produce sound through the screen. 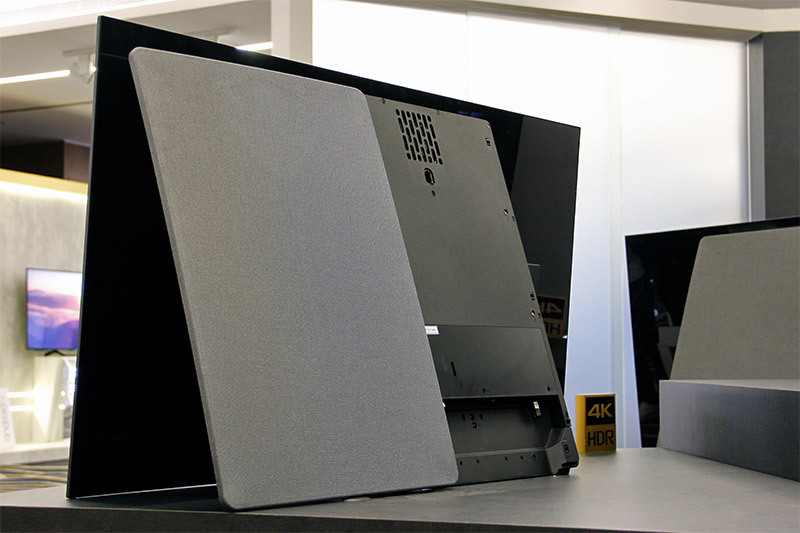 Augmenting that is a subwoofer built-in to the TV’s flap-like stand at its back. 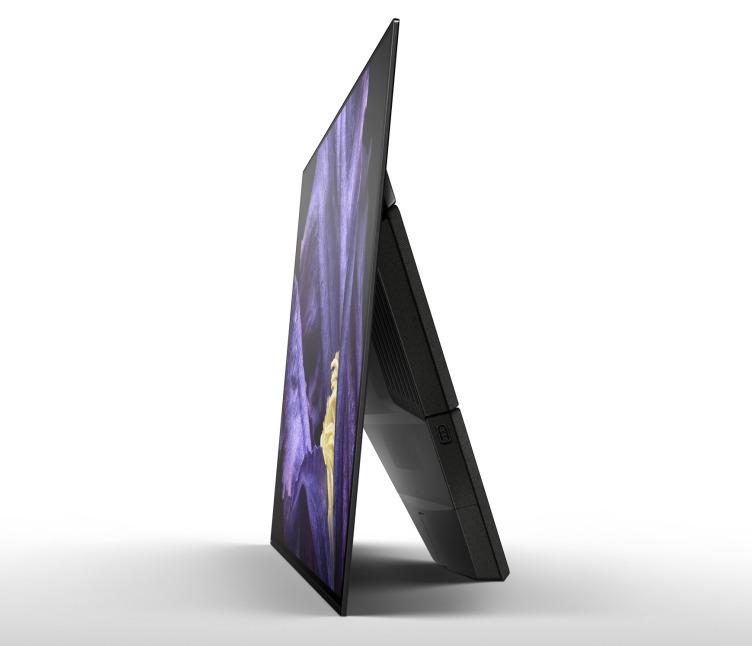 In a nutshell, it is a brilliant design with 50W of sound power that produced really good audio for a TV where the speakers are non-existent to its viewers and might we add, rather powerful too as briefly experienced (above) from the launch event of the A1 OLED TV. What’s new and improved on the A9F? To further improve the audio-from-screen experience, the new A9F boasts the next generation of Acoustic Surface Audio+. Firstly, it adds two more actuators that are placed right at the center of the screen (horizontally speaking, as the mounting of the actuators is still roughly in the upper half of the screen from a vertical positioning standpoint). This brings the total actuator count up from four to six; as such the configuration is evenly spread out on the left, center and the right. 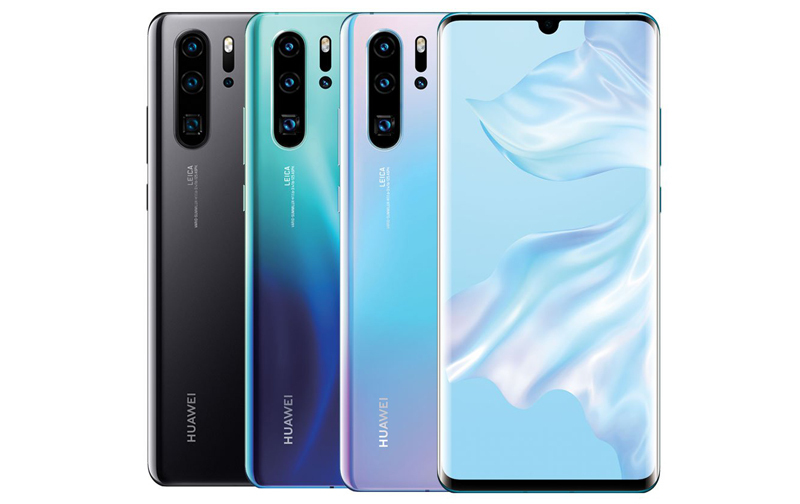 The added center actuators enable the A9F OLED TVs to more accurately reproduce the most important audio channels – left, center and right – respectively, for better stereo separation as well as a more accurate dialog handling via the true center pair of actuators. 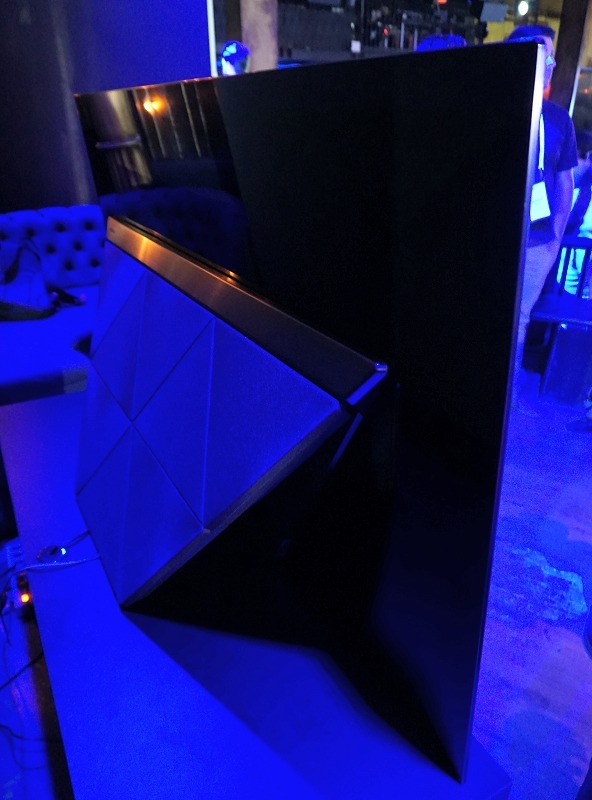 Furthermore, the A9F boasts of twin sub-woofers mounted on the sides of the rear angled stand. 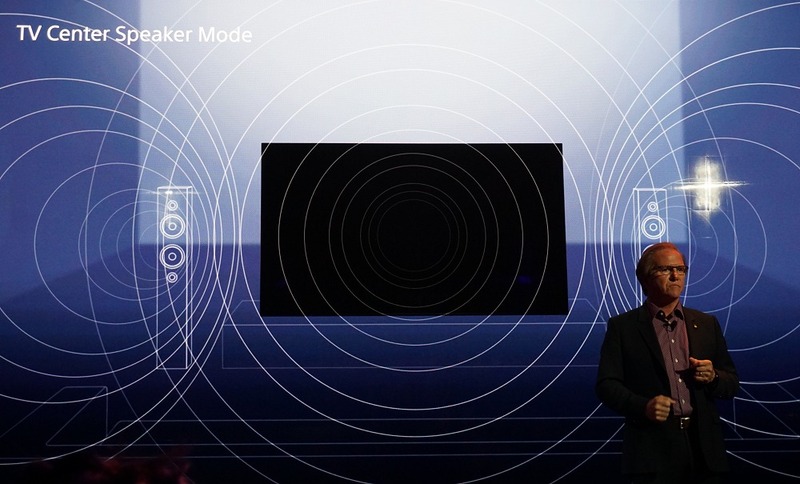 That’s an extra subwoofer over the A1 OLED TV to give the TV a 3.2-channel sound system. It also solves the mounting concerns of both the A1 and A8F that could pose an issue to muffle audio when wall-mounted. The A9F’s side mounted woofers on the stand overcomes the mounting issues of the prior models. All in, the A9F now boasts 98W of sound power, nearly double that of the A1 and A8F that were rated for 50W of audio output. Unlike the original housing for the actuator units that were plastic based, the new housing on the A9F are metal based for a more robust drive unit. In fact, they’ve now used brass at the rear for further reinforcement. There are also more mounting points – six vs. four – to secure the drive unit better and reduce unintended vibrations. Last but not least, there’s now a new structure to mount the actuators to the panel display. Unfortunately, we couldn’t photograph any of the internal aspects to further elaborate or showcase the changes they’ve made. 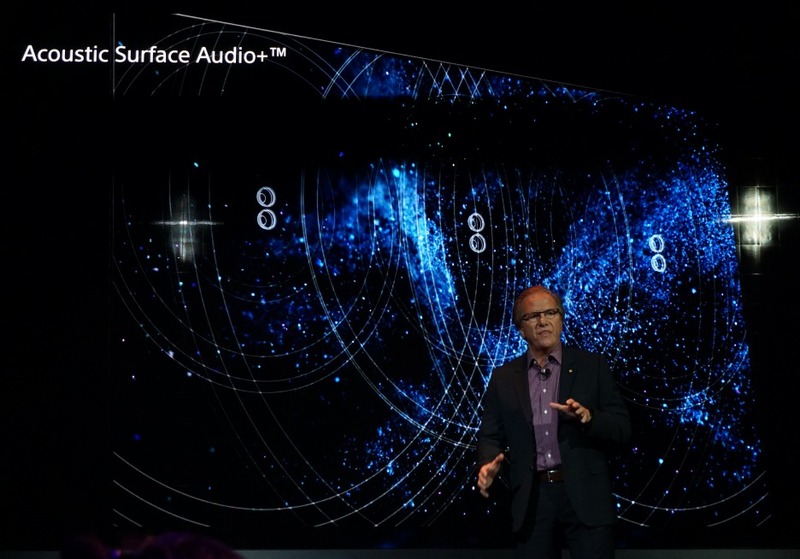 Something else totally unexpected this time around is a new mode and input that allows the Acoustic Surface Audio+ audio system to function as a center channel for your multi-channel home theatre system. While Sony’s A9F arguably has the best out-of-the-box audio system built in a TV, it’s still far from matching what discrete speakers and an AV Receiver can deliver from an audio punch perspective. After all, the screen is just part of the movie experience and without a powerful sound system, you’re not bringing the theatre home. To that extent, given the typical TV and speaker system placement, the traditional home theatre’s center-channel is placed below the TV and depending on how you’ve placed your speakers, you may discern that the dialog isn’t exactly coming out from where it should be – the screen. 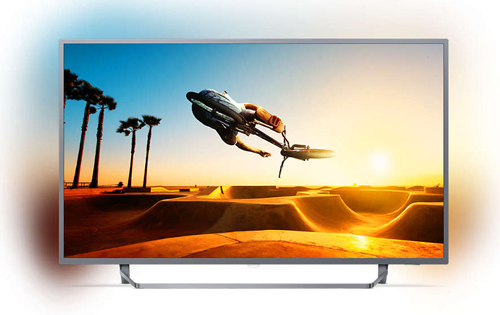 The beefed up audio system and the nature of the audio production using the Acoustic Surface Audio+ on the Sony A9F is an excellent option for Sony to offer the TV to act as the center channel in your home cinema experience. To make that possible, the A9F TV will support direct inputs from your AV Receiver/Amp through wire terminals – both screw type and banana plugs are accepted. 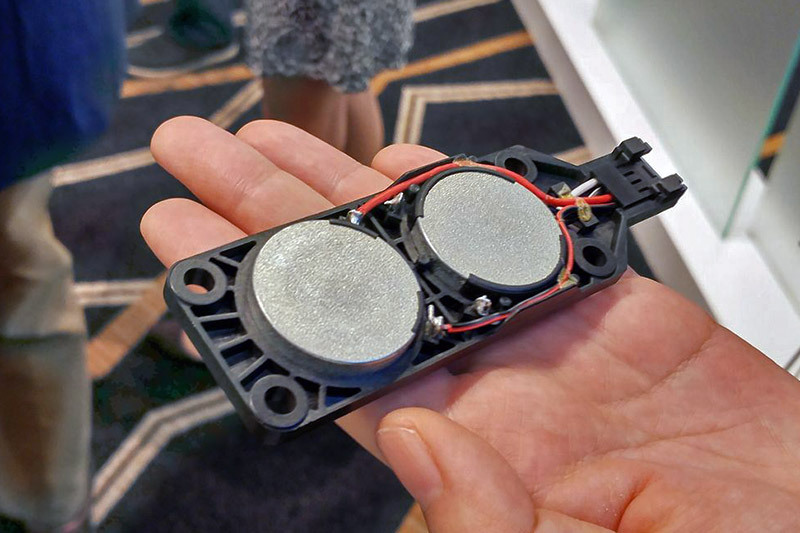 Amplification is managed by the TV to better manage how all the actuators and drivers function on the TV to deliver the job of a traditional center-channel speaker. This means, while you can manage the overall volume output from your AVR and manage individual speakers from there, you can’t adjust the center channel volume or other parameters and you’ll have to adjust them on the TV. A little bit of inconvenience, but the aim is to improve the dialog audio height and other center-channel audio action to truly match where the screen action is taking place. 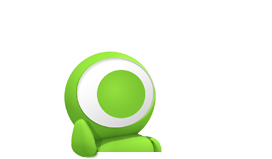 In a nutshell, the intention to raise the Z-height of the audio dialog works. We were treated to a repeated movie clip playback from The Greatest Showman and a trailer from Hotel Transylvania 3: Summer Vacation to try and make out the difference between the conventional setup and what Sony is offering with the A9F. 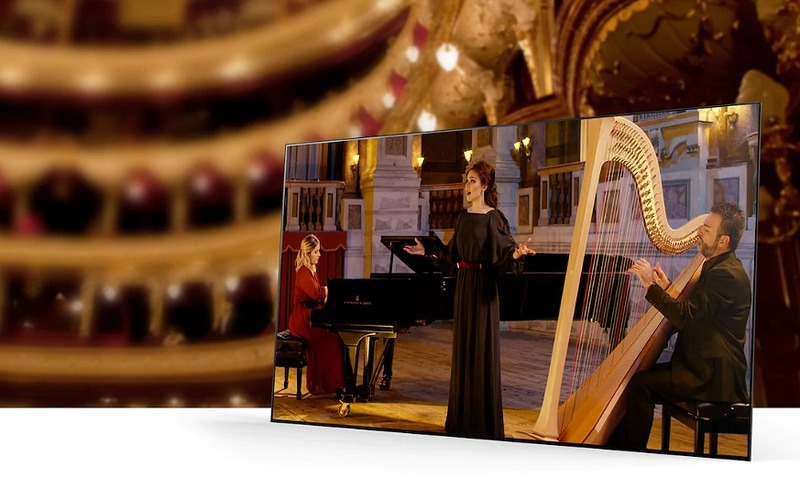 By no means was the traditional audio setup bad, but when compared to using the Sony A9F TV as the center channel, the vertical audio imaging difference is notable and appreciated as the audio output is right where it should be – from the TV screen. As good as the intention may be, the Center Speaker Mode does have limitations. At the end of the day, if you’ve invested in a quality home theatre system, the audio depth, details, and volume are still better on a dedicated center channel speaker over the A9F’s Acoustic Surface Audio+ system. We felt this trait stood out more on The Greatest Showman where the audio range and tonality was wider and more complex than that of the Hotel Transylvania cartoon movie. Perhaps Sony was being transparent with what was possible out of their TV and we appreciate it. Seriously, the A9F’s speaker system is good, but for now, that won’t eclipse my recommendation to pay attention to the center channel’s abilities when hunting for a good dedicated speaker system. But for those who wish to keep their viewing area neat and tidy without the presence of large visible speakers, the Sony A9F has one of the best, if not the best audio subsystem on a TV. Period.